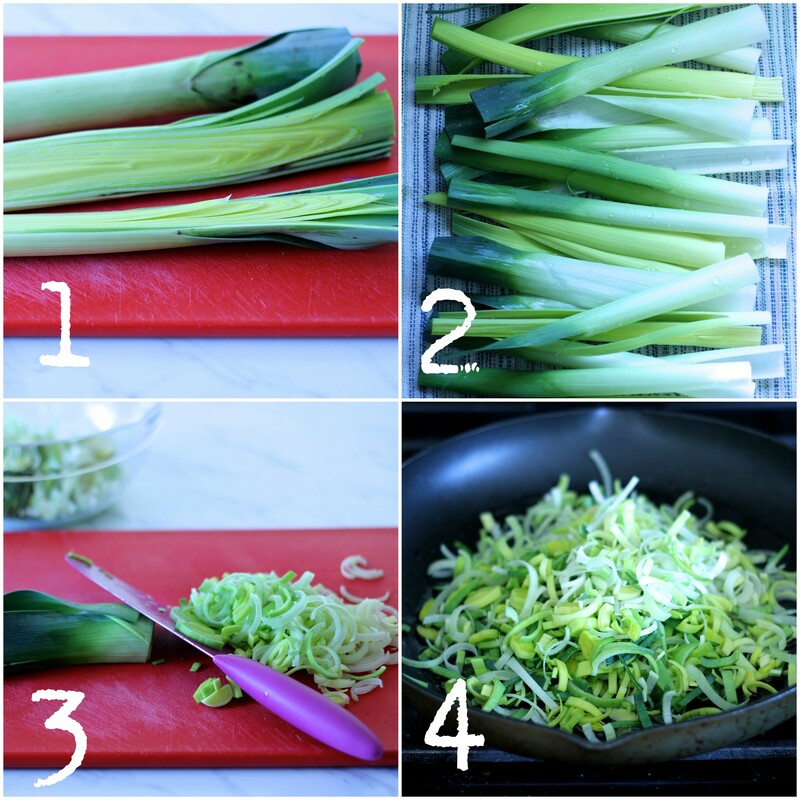 One of my favorite spring and summer finds is the leek. This is an onion, but when cooked down is all melty sweet goodness and none of the usual onion sharpness. Leeks work as a great topping, accompaniment, flavor addition, etc. etc.–they do it all! 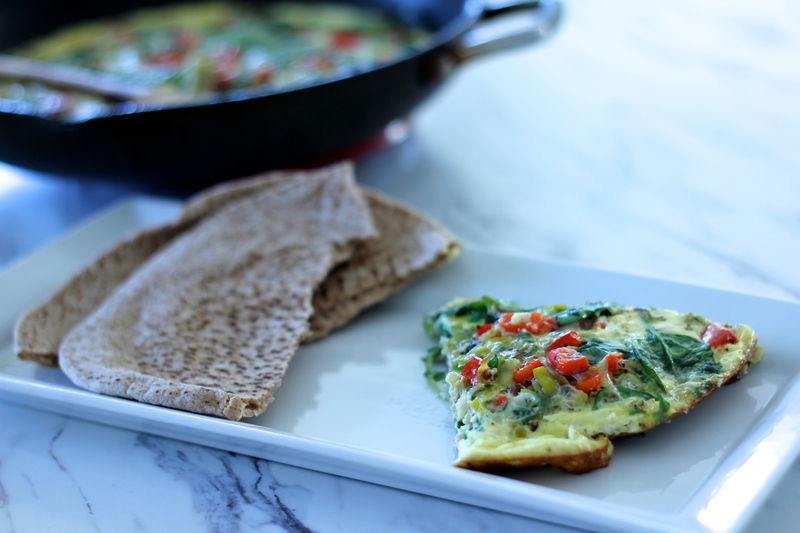 In this recipe, they are going to add flavor to my favorite quick dinner: a frittata. I love frittatas because in a pinch you can still have a filling and veggie-laden dinner on the table within 20 minutes. 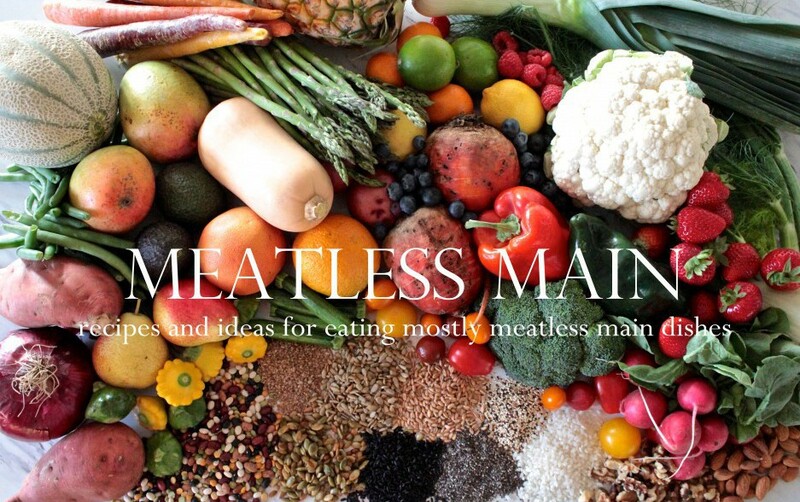 Serve with fruit and maybe some whole grain bread, and you’re set! Leeks are pretty easy to clean. First, slice in half lengthwise, second, rinse all the fronds individually and let dry, third slice thinly, and fourth, cook down with olive oil, salt and pepper. It looks like a lot of onions in the pan, but they cook down quite a bit. 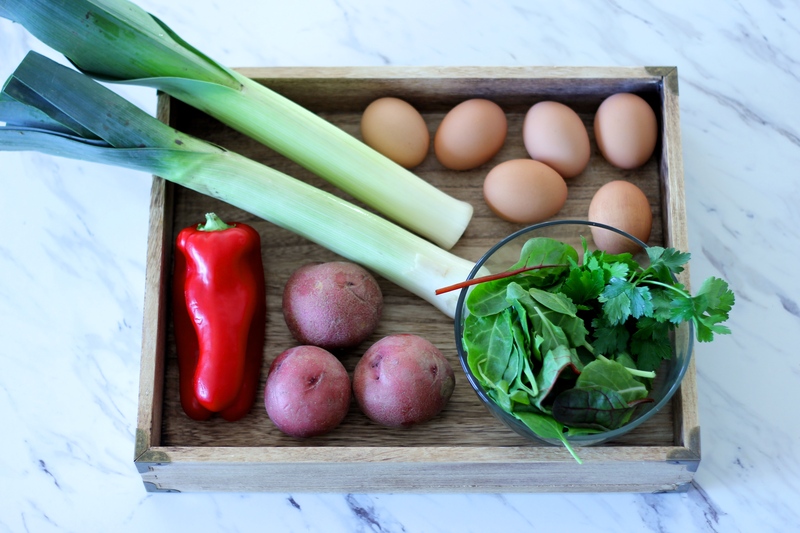 This frittata has leeks, potatoes, red pepper, and mixed greens. Once you cook down the leeks, add the red pepper and cook just a few minutes more. 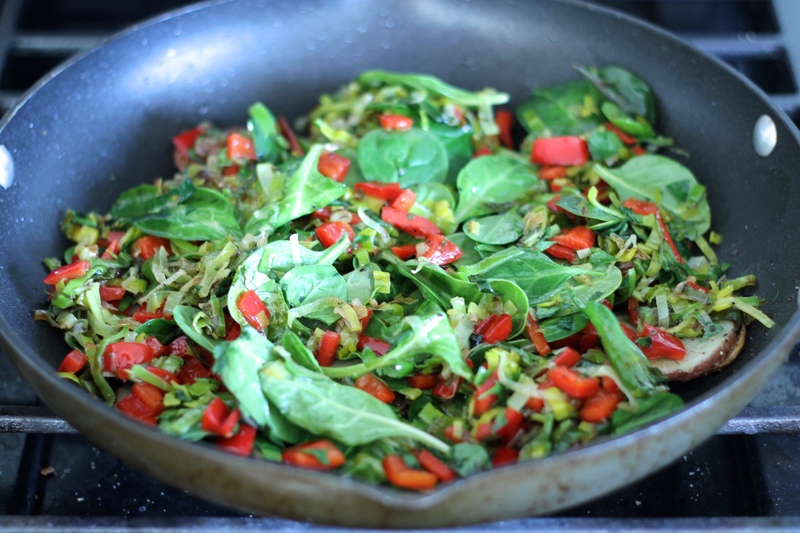 Add the leeks and red pepper in a bowl with the greens and set aside. 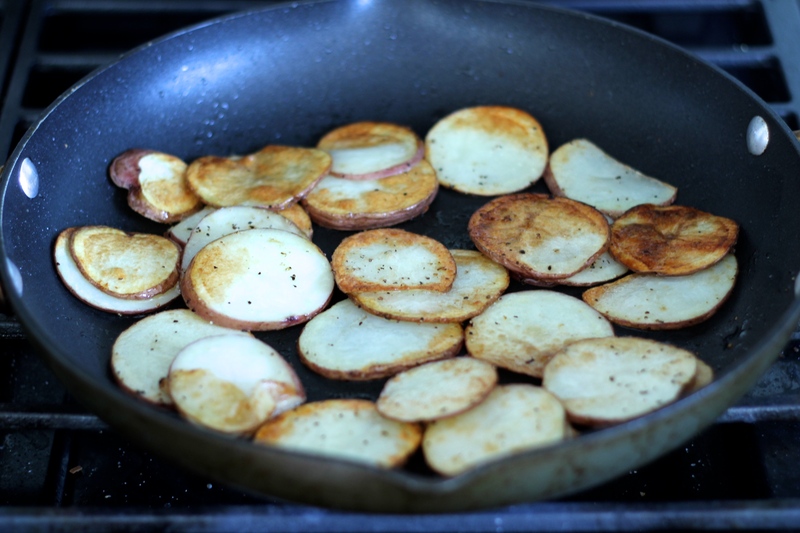 Sauté the potato rounds, add the greens back to the pan, pour on the eggs. Let it cook for 7-10 minutes on the burner, then slide the oven-safe pan into the oven to finish cooking through. Frittatas also work great as a sandwich on the go! 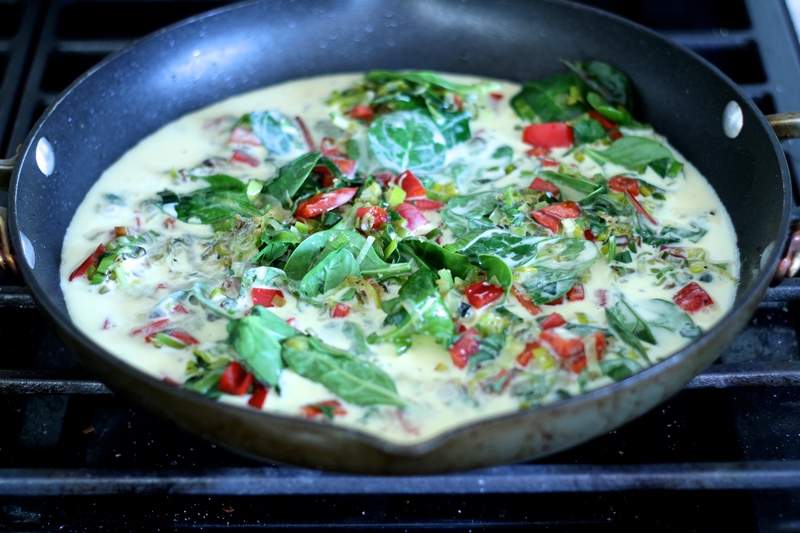 Beat the eggs and milk or half-and half, salt and pepper to taste, and set aside. Set the mixed greens in a mixing bowl and set aside. Coat a large (oven-proof) sauté pan with olive oil and heat to medium-low. Add the leeks and salt and pepper to taste, and sauté, stirring occasionally, until the leeks are golden and melty looking. Add the red pepper and sauté for a few minutes more until the pepper is crisp tender. 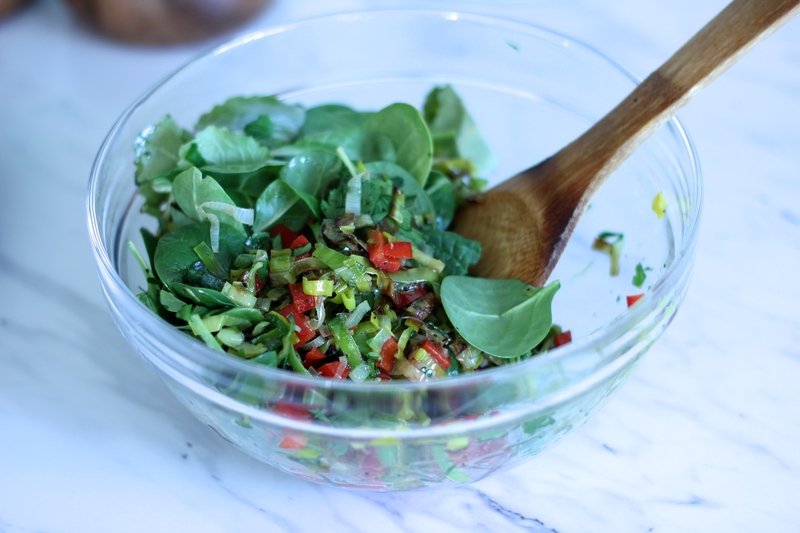 Remove from the heat and add to the bowl with the mixed greens. Put the sauté pan back on the heat and coat with olive oil. 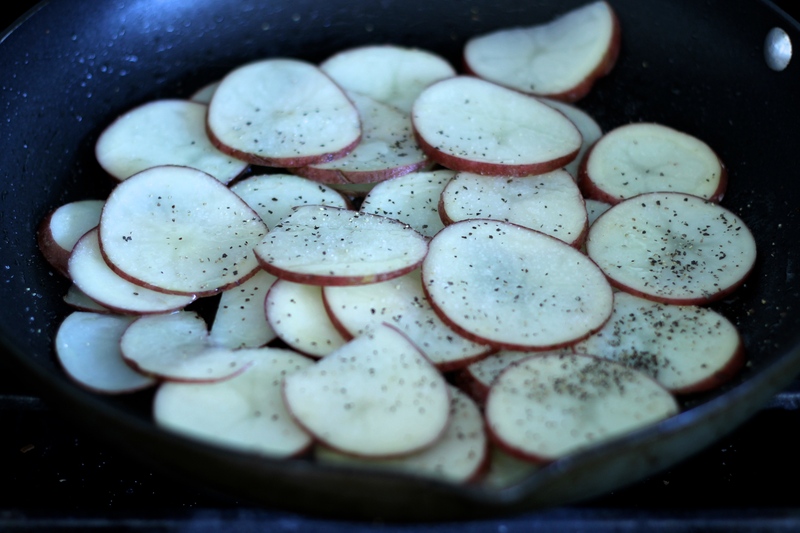 Raise heat to medium-high and add the sliced potatoes in one single layer. Sprinkle with salt and pepper and cook until golden brown. Flip and cook again until golden brown on the other side. Reduce heat to low and add the mixed green mixture on top of the potatoes. Pour the egg mixture evenly over top of all the veggies. Cook until the egg is just set on the bottom, about 7-10 minutes. Place the pan in the oven and cook for about 15-20 more minutes, until the eggs are slightly jiggly in the center but not wet.